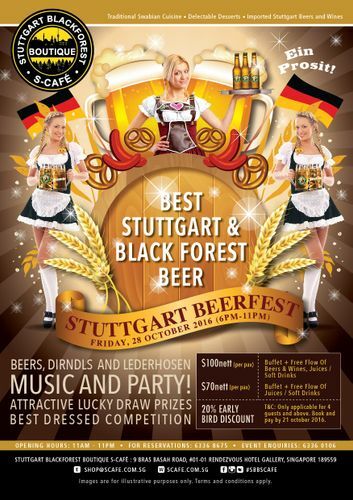 Reserve your seat at S-Café’s Stuttgart Beerfest now and enjoy 20% early bird discount! Beer, Dirndls, Lederhosen and Fun! Limited seats! Book now to avoid disappointment!